The success of mega-bestsellers like Proof of Heaven and 90 Minutes in Heaven shows that readers hunger for insight into what happens when we die. But can we know? Are there those who've been "there" and back? Echo Bodine is beloved for her down-to-earth wisdom on the decidedly out of this world. In these pages, she shares her lifetime of learning — and personal experience — about the above questions. 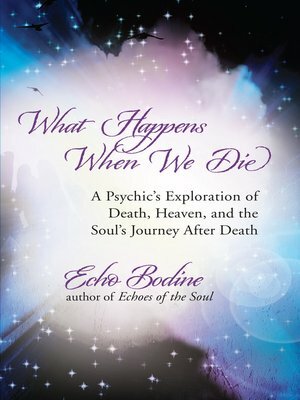 She offers practical tools for being with the dying (including what not to do), for grieving (through the poignant experience of her own mother's passing as Bodine was writing this book), and for cultivating clear and inspiring communication with the deceased. Learning what happens when we die turns out to be inspiring, reassuring, and profoundly life changing.